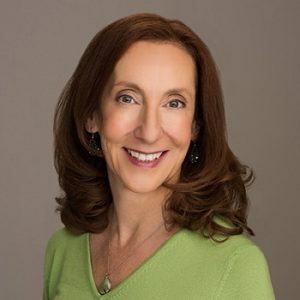 I am a copywriter specializing in the nutritional supplements and natural products industry, and a nutrition educator with more than 20 years of experience in the wellness industry. I can help you target and educate your audience with a compelling message that breaks it down simply and neatly. As an expert wordsmith I work with nutritional supplement and natural health companies that want their readers to realize they need your product in order to reach their goal of attaining a healthy lifestyle. As a nutrition educator, I help people learn ways to improve their lives through healthy eating and nutrition. How? I research your products’ ingredients, learn about your customers’ needs, and tell the story of why your product stands above the rest. Whether you need a label, brochure, marketing consultation, newsletter, advertorial, direct mail package, or blog post, I make it easy to convert potential customers into loyal customers. . . and for your customers to understand why your company is one they can trust for providing a quality product that delivers real benefits. I’ve been committed to a healthy lifestyle ever since I witnessed my mother juicing carrots, eating granola, and taking nutritional supplements in the 1960s. And as co-owner of one of the first natural foods store in Colorado, I’ve had a long and diverse interest in the natural products industry. I began my career as a marketing writer after receiving my master’s degree in professional writing. I then became a nutritional educator after studying at the Bauman College of Nutrition and Culinary Arts. After caring for my husband who passed away from younger-onset Alzheimer’s disease, I wrote “Calmer Waters: The Caregiver’s Journey Through Alzheimer’s & Dementia” in order to help other caregivers feel happier, healthier, more relaxed, confident, sleep better, and to experience inner peace. “Calmer Waters: The Caregiver’s Journey Through Alzheimer’s and Dementia” (Blue River Press, 2016, ISBN 978-1-68157-014-3-5) is now available wherever books are sold: Amazon, Barnes & Noble, Boulder Book Store, Barnes & Noble, Tattered Cover Book Store, Indie Bound.org, and many other fine independent bookstores, as well as public libraries. Visit my blog, “The Healthy Caregiver Blog” with informative articles about how caregivers can stay healthy and calm while caring for a loved one, and how everyone can benefit from revving up their nutrition with foods and supplements. Although I love to write, my passion is dance, especially Israeli folkdance, salsa, contra, and tango. I also love to hike in the beautiful Rocky Mountains. If you need a copywriter with a strong, diverse background in the natural products and nutritional supplement industry, give me a call or email me to see if we are a good fit.